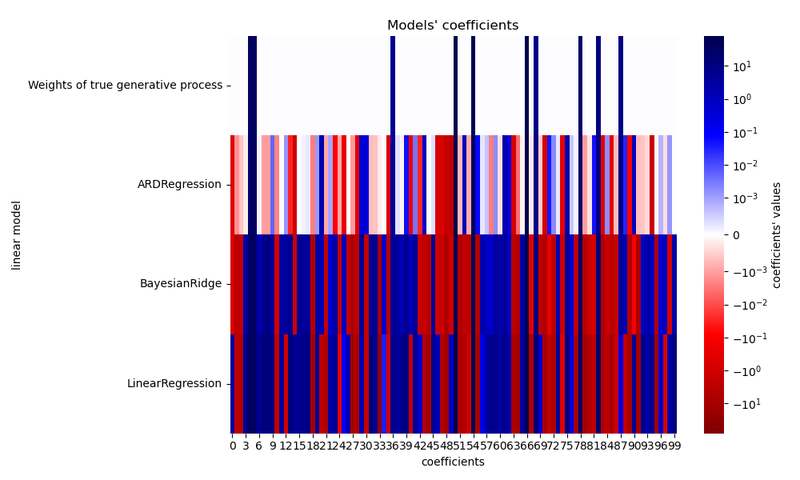 Fit regression model with Bayesian Ridge Regression. 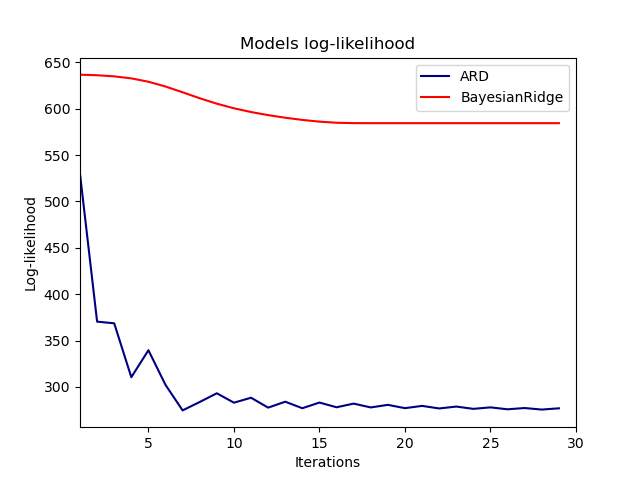 See Bayesian Ridge Regression for more information on the regressor. Compared to the OLS (ordinary least squares) estimator, the coefficient weights are slightly shifted toward zeros, which stabilises them. The histogram of the estimated weights is very peaked, as a sparsity-inducing prior is implied on the weights. The estimation of the model is done by iteratively maximizing the marginal log-likelihood of the observations. 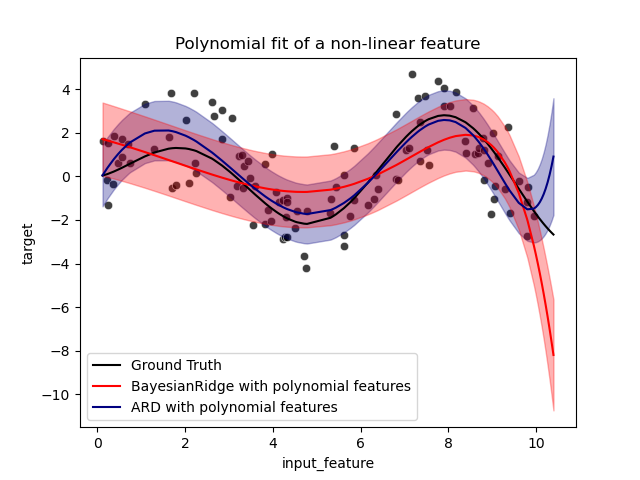 We also plot predictions and uncertainties for ARD for one dimensional regression using polynomial feature expansion. Note the uncertainty starts going up on the right side of the plot. This is because these test samples are outside of the range of the training samples. # Create weights with a precision lambda_ of 4. # Create noise with a precision alpha of 50.